Do you have ANY IDEA how much money, and how many special benefits your Congressman and your Senator have handed to them, at taxpayer expense every single year? ONLY By Raising Our Voices, Combining Our Strengths And VOTING Can We Ensure Protection Of Our Hard Earned Rights And Freedoms. Your own home town could be next. There exists a scientific controversy worthy of debate. 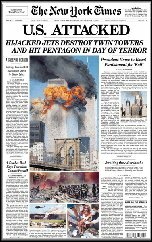 Britain, Canada, Denmark, France, the Netherlands, along with New Zealand, Japan, Norway and Russia – have all allowed their publicly-owned broadcasting stations to air the full spectrum of evidence, challenging the truth of the official account of 9/11. That scientific evidence is well worth examining. Watch for patterns that repeat. Watch it. Think about it. Share it. Back on Wednesday, May 9th, 2001, over twenty military, intelligence, government, corporate and scientific witnesses came forward at the National Press Club in Washington, DC, bringing with them supporting government documentation and a wealth of additional evidence disclosing a staggering government cover-up. A mere four months later the nation was forced to refocus it's attention as the tragedy of 9/11 unfolded. In the years since 9/11 however, the people of this nation have become a good bit wiser. Most are now significantly less likely to blindly accept the "official version" of anything. 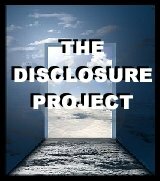 Perhaps it's time to take a look at yet another thoroughly discredited "official version", exposed by the brave whistleblowers who participated in The Disclosure Project. Those strange things you see zipping across the sky? A great many of those vehicles are actually our own. And that particular fact begs the question....what's their fuel source? They're certainly not using Regular Unleaded. Thoughtful Excerpts on the Nature of Reality. In these pages, you will find one of the most valuable gifts you will ever receive....the ability to learn to look at the marvelous adventure of life on this earth with greater comprehension. If you do not like the state of your world, it is you yourselves that must change, individually and en masse. This is the only way that change will be effected....The responsibility for your life and your world is indeed yours. It has not been forced upon you by some outside agency. You form your own dreams and you form your own physical reality. The world is what you are. It is the physical materialization of the inner selves which you have formed. In Douglas Adams wonderful book The Hitchhikers Guide to the Galaxy, we encounter a machine called Deep Thought. It is the most powerful computer ever built. Deep Thought is capable of answering questions concerning life, the Universe, and simply everything. Now scientists are planning to create a similar machine. 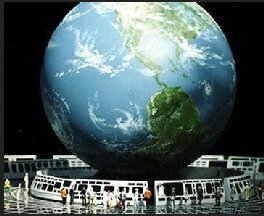 It is called the Living Earth Simulator (LES).